Just below is the latest official music video from the estate of Bob Marley created in celebration of the 30th anniversary of Bob Marley's iconic compilation album, Legend. Fans were asked to submit photos on Instagram depicting the lyrics of "Get Up Stand Up" (literally and/or figuratively). The video below was made from those submissions. 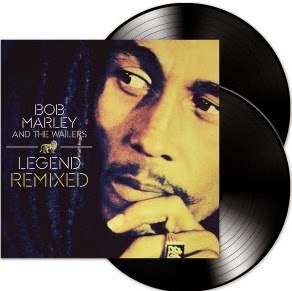 LEGEND REMIXED contains fifteen remixes by top DJs and producers. Included in this cohesive new set are tracks by Stephen Marley, RAC, Nickodemus, among others, as well as a new rendition of "Redemption Song" by Ziggy Marley.